A few house signs in Prague hint at hidden alchemical meanings. 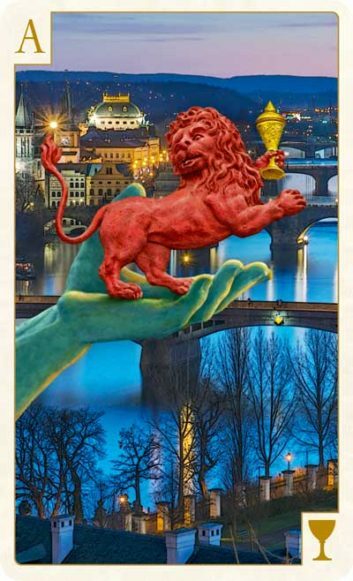 The main figure on Ace of Cups in The Tarot of Prague is a red lion with a chalice, from a building on Nerudova Street 41 in Prague’s Malá Strana section. 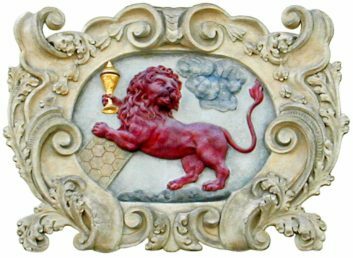 The red lion is an alternative name for the Philosopher’s Stone, which is needed to transform base metal into gold. 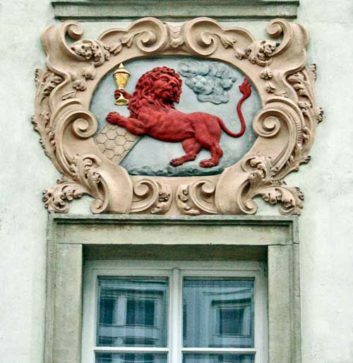 House sign showing the red lion and a chalice. The chemicals mercury (quick silver) and sulfur, both highly regarded in alchemy for their properties, turn into a vermilion red compound when combined into mercuric sulfide. Many alchemists considered this red chemical the key to the Magnum Opus, the creation of the Philosopher’s Stone from raw materials. Ace of Cups in front of the House at the Red Lion. The process of the Magnum Opus begins with the blackening (nigredo) and goes through the whitening (albedo) and yellowing (citrinitas) before ending with the reddening (rubedo). Many writers after the 15th century combined the yellowing with the reddening to make just three steps — black, white and red. 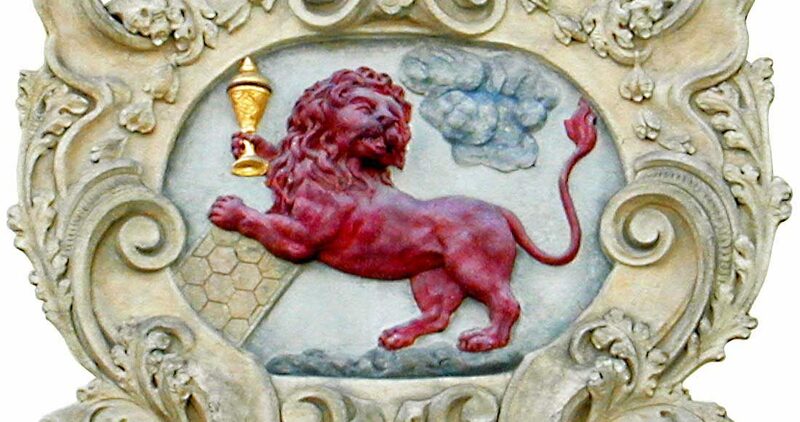 Swiss-German philosopher Paracelsus in the beginning of the 16th century discussed the red lion as a chemical mixture involving distilling the Oil of the Sun three times into the Tincture of the Sun. He also writes about the Green Lion, another step in the process. The rather obscure writer Abraham Lambspring or Lambsprinck in his late 16th century book On the Philosopher’s Stone discusses in riddle-filled cryptic poems that two lions in a dark valley must be caught by a cunning master, and that master will have wisdom that transcends the worldly wise. The colors of the lion were not specified, but they are symbols of the soul and spirit. Psychologist Carl Jung associated the reddening with the merging of the ego and the self, where a person discovers his or her true nature. 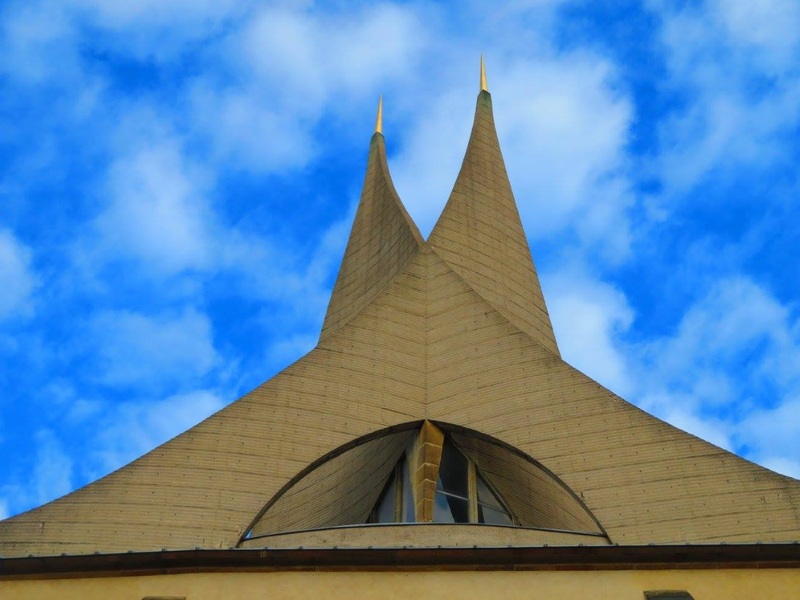 The lion in the house sign on Nerudova Street is seen with a gold chalice, a piece of honeycomb and standing in a cloud, making the whole meaning a bit obscure. The lion looks away from the chalice and toward another cloud. Aside from its alchemical meaning, the lion rampant has long been a symbol of Bohemia. The red lion on the Ace of Cups is just semi-rampant, not fully standing on its back legs, but using its front paws as arms. The chalice held by the red lion is allegedly because a goldsmith lived at the building. It could also be seen to symbolize the Holy Grail, which like the Philosopher’s Stone was highly sought but never found. The chalice is also a depository for the blood of Christ, transformed from wine during Catholic mass, and red blood is another symbol of the alchemical reddening. The chalice can also be symbolic of family and tradition. In Bohemia, the chalice is a symbol of the Hussites, an early Protestant movement. The clouds are indicative of one of the four elements, the air, and the lion seems to be floating. In Greek medicine, the humor of red blood and a sanguine temperament is associated with the air element. It is also connected to universal power and the purified substance, and has the attributes of being hot and wet. The honeycomb is a bit of a puzzle as to its meaning. It is broadly associated with success or plenty, as in the land of milk and honey. There is no specific alchemical meaning, though. The beehive is sometimes a metaphor for a lodge of a secret order like the Masons or Rosicrucians, and bees are the members. Overall the sign seems strongly connected to alchemical transformation, but will likely always be a bit of a mystery. 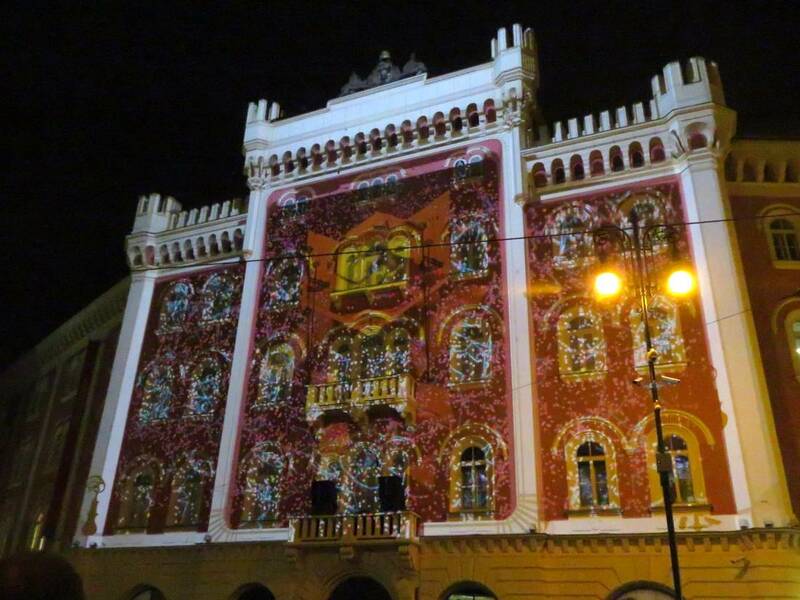 The House at the Red Lion (dům U Červeného lva ) is now a small four-star hotel. The Baroque-style building’s house sign dates from 1608, while the current look of the building comes from 1726, the year above the portal. The building was at some point joined to the adjacent one, At the Green Lobster. One of the early occupants is thought to have been a goldsmith. Artist Petr Brandl is often said to have been born in the house, but other nearby houses also claim this bit of fame. He did certainly live there for a while and possibly even did some remodeling, but later he moved to Old Town to the House at the Death’s Head, which no longer exists. Despite his fame as an artist of religious themes, Brandl died penniless. In the 1930’s the House at the Red Lion was a liquor shop, and signs of its age. In 1994–95 the building was restored, with particular attention paid to reconditioning the original ceiling beams. 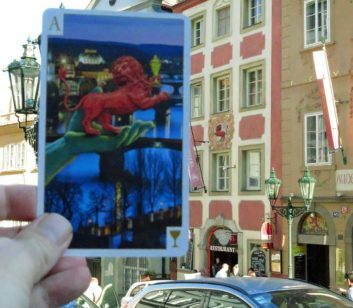 Prague has two other buildings with red lion house signs, one is at Masná 20, and not much is known about the background. 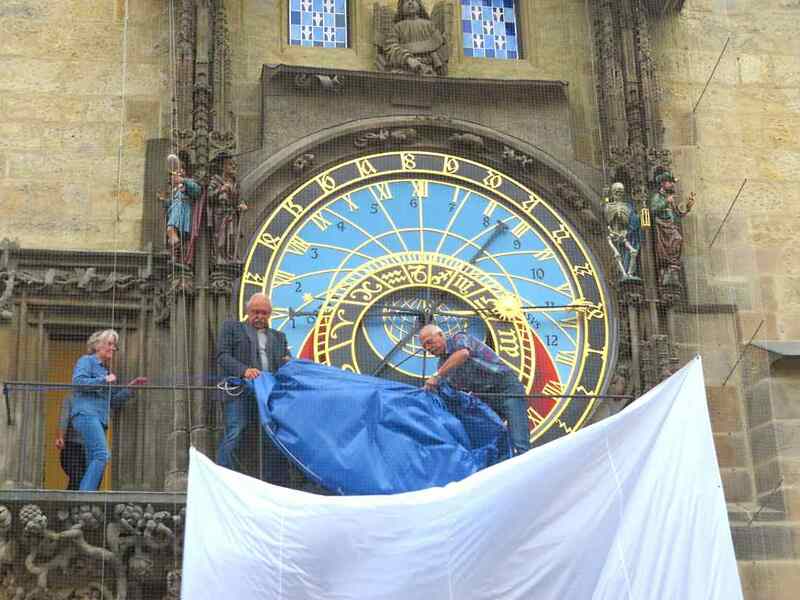 The other, At the Two Red Lions, is at Rytířská 27 and the lions had been covered by a shop sign for a long time. It was restored in 1955. 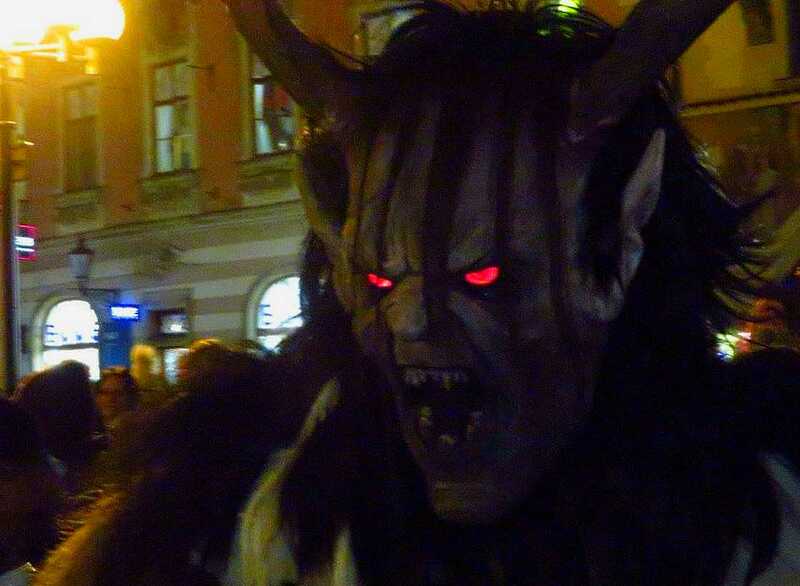 The boy who turned to stone, a legend of Prague's Old Town.